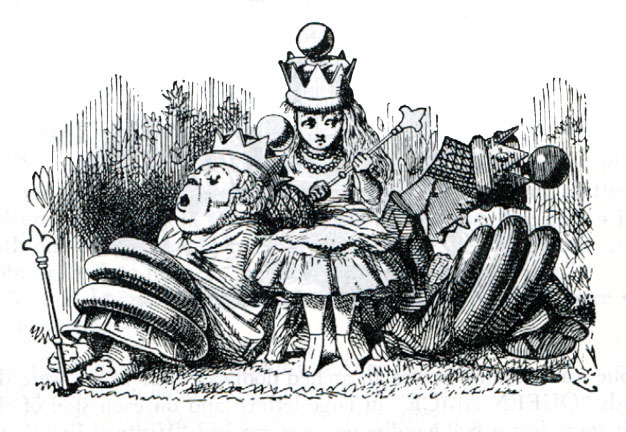 Red Queen, and White Queen, and Alice, and all — Illustration to the ninth chapter of Through the Looking Glass by John Tenniel. Wood-engraving by the Dalziels. Till the feast’s ready, we’ve time for a nap.